Dandelion history provides more than a few surprises which may change our future. This bane of a weed for most suburban gardeners offers a lot of promise in the world of medicine, alternative energy sources and even meeting world rubber needs. What do lions and wet bed sheets have in common? There’s three aspects to the official name and common names of common dandelion, Taraxacum officinale. Officinale, the species name, is a Latin term that is attached to those herbs that contain long-accepted medicinal properties. The Persians originally called the herb tarashquq around 900 A.D. Around 100 years later, they called it Taraxcum. Unfortunately, I couldn’t find a reference to what either name means or why it changed. The second part of the origin of the scientific name comes from the appearance of the leaves of the plant. Consensus is that they resemble the canine teeth of a lion. Dents de lion is French for teeth of the lion. But, the burning question…what do lions and wet bed sheets have in common? Well, in this case, they have ties to dandelion history and its name origins. The French also called this plant ‘pis-en-lit.’ Dandelions are known diuretics. A diuretic is something that removes fluid from your body. Let’s just say that eating dandelions before bed could cause you to pis-en-lit or wet the bed. Throughout history, the flower heads in the fly-away seed stage, earned this plant nick-names similar to blowing flower. It has also been called a number of things in reference to the white, milky sap in the stem – milk, milk pot, dog milk, butter, sow milk and a number of other similar variations. Dandelion seed ball photo credit Tania Matvienko on stock.xchng. The first known written record of dandelions being used medicinally dates back to the 10th and 11th Centuries. But, it’s recorded use is believed to date back to Ancient Rome and the Anglo Saxons. It first appeared in European history in the 13th Century when it was used by the Welsh. Unlike many of the other herbs that I’ve studied, the written dandelion history that I found is quite vague. John Gerard (1545-1611) and John Parkinson (1567-1650), famous English botanists and herbalists, used it as a medicine but I didn’t find any fun quotations or odd uses for the herb. Outdoors-men do have a clever way of predicting the weather that involves dandelions. If rain is coming and the plant has gone to seed, they believe that the head will close around the fluffy seed ball to protect it and it will not re-open until the weather has cleared. Taraxacum offiicinale botanical study from 1885 text Flora von Deutschland, Osterreich und der Schweiz by Prof. Dr. Otto Wilhelm Thome. I mentioned in our first article on dandelions that dandelion coffee may be a treatment , or perhaps even a cure (we can hope and pray, can’t we?) for some cancers. There are also a number of other ailments where dandelion may offer viable treatment options. The article includes a lot of the scientific properties and a long list of the compounds contained in dandelions. While I started my college career as a chemistry student, the list of chemical compounds in dandelions left my eyes glazing over. If anyone is interested, please visit the NIH article to see the list. I will mention one thing, they specifically mentioned its high potassium content. 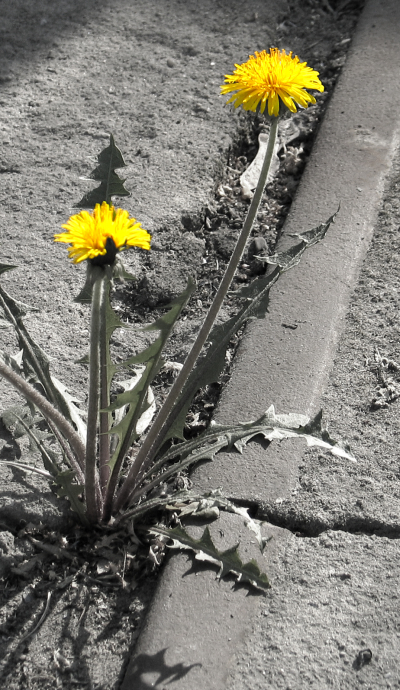 Leaving out much of the scientific stuff…the report mentioned that preliminary data would indicate that dandelion flower extract has anti-inflammatory benefits – something the Puritans could have told them. Experiments in rats are showing positive results that may help diabetics. And another report from 2006, says the dandelion root may reduce the recurrence rate of urinary tract infections in women. Dandelion’s diuretic properties may speed up how fast medications may travel through your system – in other words, dandelion could push your medication through your system before it can provide you any benefit. It also impacts how your liver breaks down medications thereby making some medications stronger and others weaker. While a number of sources mention using dandelion for stomach ailments, including indigestion, the UMM site cautions that it could actually increase the amount of stomach acids produced. 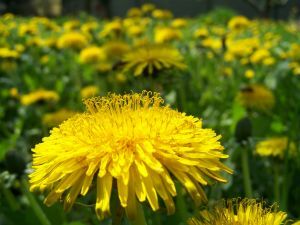 Dandelion may increase the risk of bleeding so anyone on blood-thinning medication might want to avoid consuming dandelion. Dandelion is also believed to make the side effects of lithium worse – oh joy, just what those poor folks need. It is believed Chinese dandelion (Taraxacum mongolicum) lowers the absorption of ciproflaxin and other Quinolone antibiotics. The research, however, did not include common dandelion. It would probably be smart to assume that any variety of dandelion may impact any antibiotic rather than take the risk. Diabetics should use care with dandelion. If it does indeed reduce blood sugar levels and you are already taking medication, you may end up decreasing your blood sugar to unsafe levels. There are some who suffer hayfever-like allergies to dandelion flowers. UMM recommended anyone allergic to chamomile, chrysanthemums, daisies, marigold, ragweed or iodine should avoid dandelion. Products containing dandelion pollen are being investigated for their potential to cause allergic reactions. The NIH article said one woman, who took a weight loss supplement containing a number of herbs, including dandelion, suffered anaphylaxis after taking the product for 3 weeks. I also found several folk remedy sites that mentioned using fresh dandelion sap on on warts, bee stings, acne and calluses. One explained that exposing the skin to the sap will cause a mild allergic reaction that causes the body to more effectively heal itself. Dandelions Saved the War Effort? Photo credit Karlis Caupals on stock.xchng. Well, several nations involved in World War II hoped it would anyway. By 1942, the Japanese controlled 90% of the world’s natural rubber production. When World War II started, the United States was using around half of the world’s natural rubber supply. A single military airplane could use a half a ton of rubber. Tanks used a ton and battleships used 75 tons. Even war fighters used 32 pounds of rubber. Any army, without access to natural or synthetic rubber was unlikely to be victorious. In 1922, the British placed export restrictions and increased the price of rubber. The Germans, Americans and Russians began searching for alternatives. The Germans were the third largest consumers of natural rubber. Having experienced difficulties during World War I due to shortages of rubber, Germany developed Methyl rubber. It worked for tires but it was expensive and soft. So soft, that vehicles equipped with them had to be jacked up when not in use. By 1930, they had developed a better synthetic rubber, Buna S; which they used throughout World War II. The Americans had also created a synthetic rubber similar to Buna S., referred to as GR-S. However, when war broke out, there were no commercial processes in place to use it commercially. Russia was facing a similar dilemma. OK, so it isn’t as dramatic as I’m making it out to be. But, in their desperate search to provide the huge quantities of rubber their armies required, the Germans, Americans, Russians and several other European countries began programs trying to find alternatives to natural rubber from the Hevea brasilienis (rubber) trees in Southeast Asia. 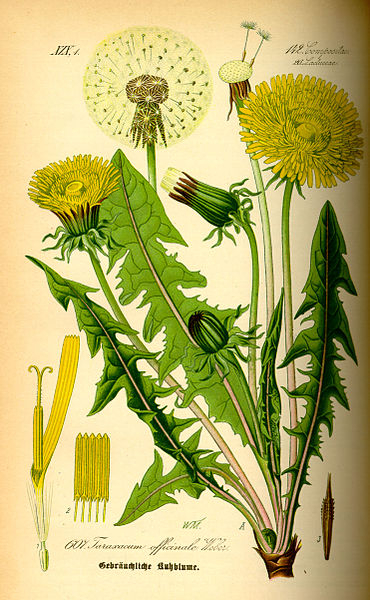 Scientists knew that dandelions, particularly the Russian dandelion, produced natural latex. That milky white juice that flows through the stem of dandelion flower stalks and the roots of the plant were being looked at as a new, natural source for the rubber so much of the world was in desperate need of. Once the war was over, natural rubber became available again and prices went down, efforts to use dandelion as a natural rubber and latex source were discontinued. Photo usage rights purchased from iStockPhoto. As a fungus attacks many of Southeast Asia’s rubber trees, the world once again turns to dandelions as a possible alternative source of natural rubber. I found one article which claimed, but did not source, that dandelion rubber produced during the 1940s and 50s was heavier than rubber produced from Hevea brasiliensis trees. Which means it produced a superior tire. One of the major difficulties in using dandelions as a natural rubber source is that the sap polymerizes when exposed to the air. German researchers at the Fraunhofer Institute for Molecular Biology and Applied Ecology have developed a new variety of Russian dandelions. Taraxacum koki-saghyz or TKS produces four to five times more usable latex than common dandelion. 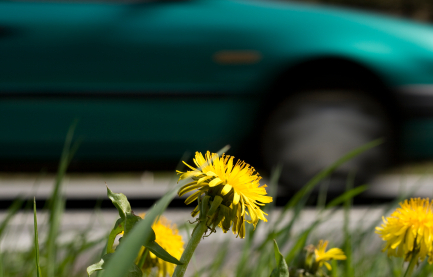 In recent years, scientists in Akron, Ohio and Tokyo are investigating using Russian dandelions as a raw material for car tires. Bridgestone Americas is working with the Program for Excellence in Natural Rubber Alternatives at Ohio State University. Dandelion is showing great promise as a source of natural rubber and latex. It also seems to be far more hypoallergenic. It has not caused any allergic reactions in the tests done to date. Dandelion is also showing promise as a natural source for ethanol. Did you know that only 24% of the corn in the United States is used for food in the United States? 40% is being used to produce ethanol, according to a 2012 New York Times Editorial, “Corn for Food, Not Fuel.” I don’t know about anyone else, but, I would much rather see a traditional non-food plant being used to produce fuel than one of the world’s most important food-stuffs being used for fuel. 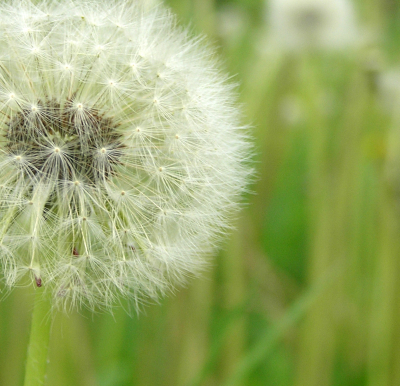 Bet you didn’t know there was so much dandelion history. I admit I had no idea when I started researching this herb. Want to learn more? Be sure to visit our article about dandelions where you’ll learn about several different varieties of this herb, where you can find dandelion festivals and how the herb is consumed.